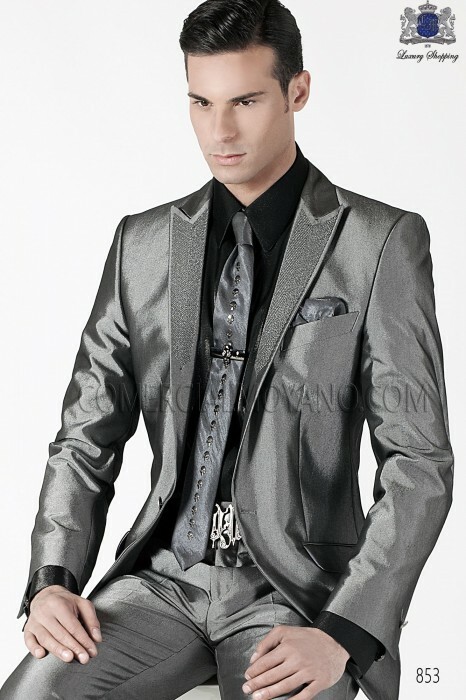 Italian anthracite gray men fashion suit, ONGala. Italian bespoke fashion suit, anthracite gray "military jacket" in New Performance fabric, with peak lapel and 1 button; with matching trousers, style 853 Ottavio Nuccio Gala, Emotion collection. Carlos Hernández (24/02/2017): Italian anthracite gray men fashion suit - Muchas gracias por todo! El traje me sienta perfecto! 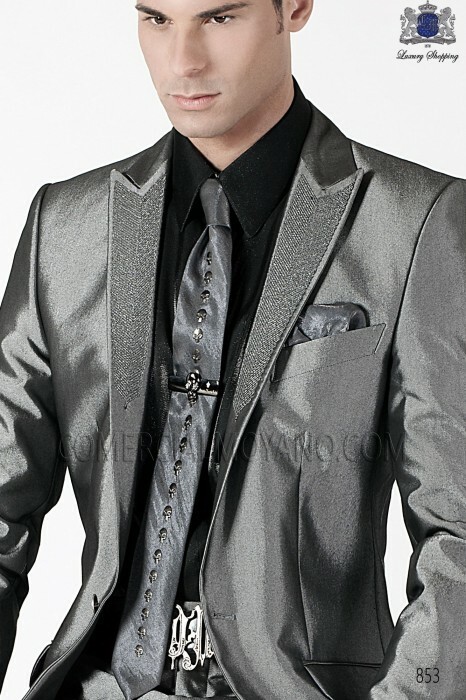 Jorge Cardenas (14/06/2016): Italian anthracite gray men fashion suit - Tienda muy recomendable, gran trato y servicio. Paul Beckett (17/05/2016): Italian anthracite gray men fashion suit - Good service, thanks for all! 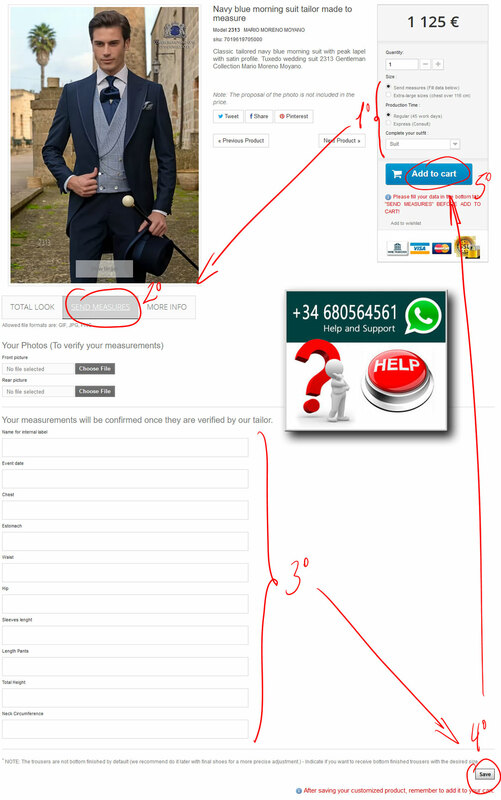 Wilhelm Günther (08/12/2015): Italian anthracite gray men fashion suit - Bestellung ohne Probleme geliefert, alles ok danke! 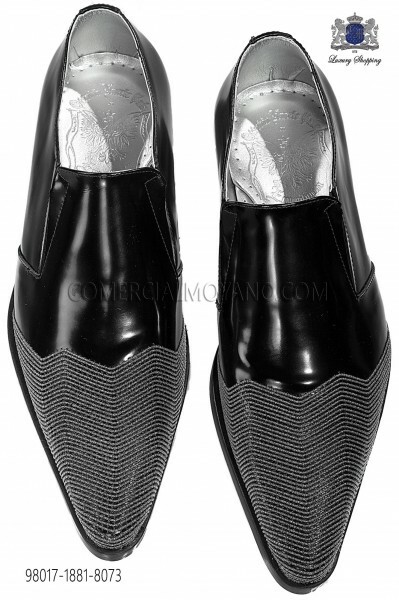 Pierre Babonneau (05/06/2015): Italian anthracite gray men fashion suit - Je l'aime !! Be yourself and express your emotion! With our stylized pattern, peak lapel and shoulder tight trousers without clips, this Italian suit Ottavio Nuccio Gala will give you personality and elegance. Custom Suit with signed liners and metallic buttons (you can order them lined for ceremony; we will send the original game parts for later use). Black lurex shirt with classic collar and crystal button. 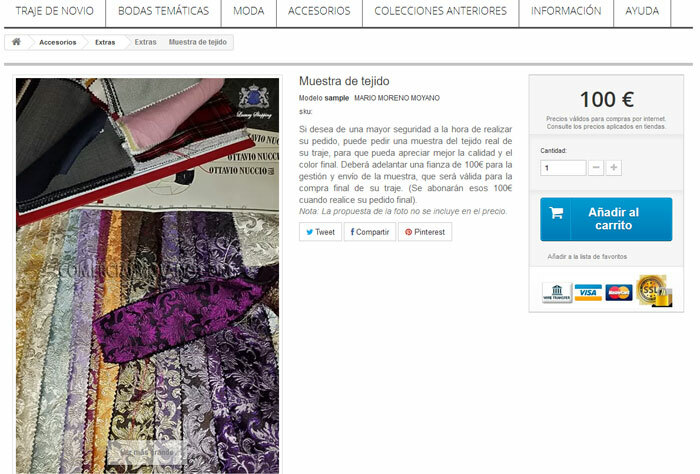 Gray lurex tie with skulls transfers, and gray lurex handkerchief. 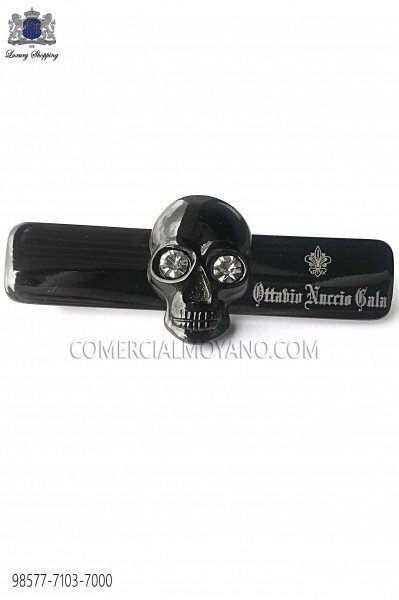 Dark silver metal skull tie clip with fumé rhinestones, (nickel free). 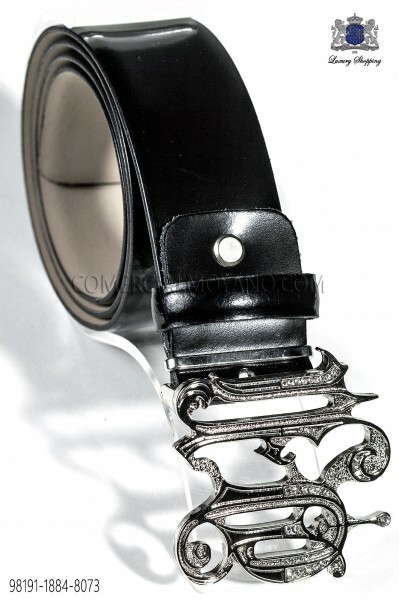 Black leather belt with dark steel ONGala buckle and fumé crystal rhinestones. Black leather ankle boot shoes with silver cap toe.